After you add Grit to your Foam Coat, it will have the look and feel of stone, with the added benefit of strengthening the Foam Coat. 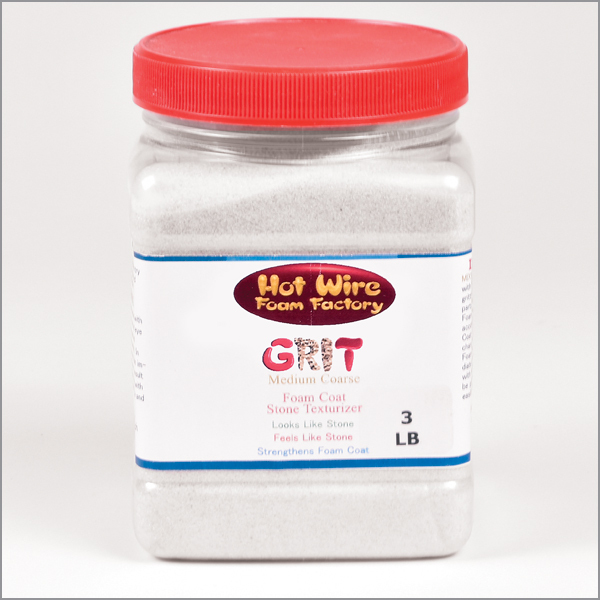 • MIXING: Thoroughly mix Grit with Foam Coat to the desired grittiness. Up to 1/3rd Grit to Foam Coat will strengthen and increase coverage of Foam Coat. • APPLYING: Apply according to directions on Foam Coat. • SET TIME: Grit will not change the set or cure time for Foam Coat. • CLEAN-UP: Immediately clean tools and brushes with soapy water. • FINISHING: May be painted or stained. Cannot be easily sanded.